Plans have been approved for a Lincoln Eastern bypass, it has been confirmed today (Tuesday, February 16). The Secretary of State has granted the legal orders required for the Lincoln Eastern Bypass scheme to progress following a Public Inquiry which took place in August. The orders will allow the council to appoint a contractor and it is hoped work will then be able to start on site later this year. The bypass is expected to take two years to complete and will cost around £96million. 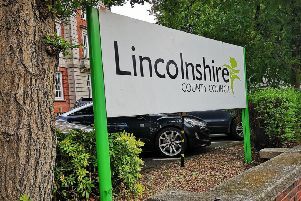 A Department for Transport spokesman said: “We have approved Lincolnshire County Council’s plans for a new Lincoln Eastern Bypass after reviewing the findings of a planning inspector’s report following a public inquiry held last year. The proposed road will link the A158 Wragby Road with the A15 Sleaford Road. The planning inspector decided the Compulsory Purchase Order and Side Roads Order should be approved. The Secretary of State carried out an impartial review of the report and confirmed he agreed with the findings. Executive member for highways and transportation, Councillor Richard Davies, said: “I am very pleased with the outcome of this inquiry. “I am glad that the inspector saw that not only is the bypass a vital component in our plans to create a fit-for-purpose highways infrastructure for the needs of an expanding Lincoln, but that the changes at Hawthorn Road which have been of particular interest to those living in the villages of Cherry Willingham and Reepham have been mitigated by the provision of reasonably convenient alternative routes. During August’s public inquiry, Government-appointed inspector Stuart Nixon heard the cases for and against the revised Side Roads and Compulsory Purchase orders paying particular attention to the new proposed location for the footbridge and a crossing, this being the reason the orders were not granted at a previous public inquiry in 2014. The report states: “In light of his conclusions the inspector recommended that the side road orders and compulsory purchase orders be confirmed and that the application be approved. “The inspector concluded that the modifications proposed by the council are justified. The confirmation of the legal orders will now allow the council to seek tenders from contractors.